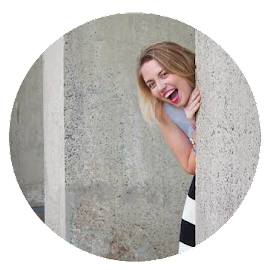 This post was sponsored by Proactiv as part of an Influencer Activation for Influence Central. I received complimentary products to facilitate my review. Alrighty, time for the promised update on my Proactiv use! Find the first post (& video portion!) over here. Ooh! Also be sure to let me know if you'd like a video round 2 to really see the results! 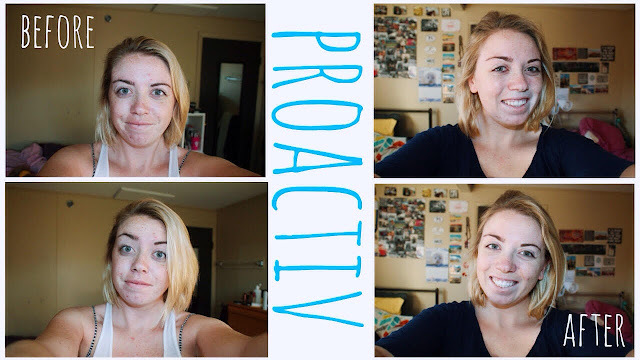 I've been using and loving Proactiv for 6 weeks now! After about 4-6 weeks, Proactiv promises to help balance/control oily skin, improve smoothness/clarity, and prevent breakouts to come. My main goal when starting Proactiv was to leave the house without makeup on- something I did a whole lot during this testing phase! Especially during finals, I'd rush out with my nose in my notes for my final cram before taking a test, no makeup. Not even coverup or mascara for some days! That is my idea of confidence in my skin! Even though I can take off for the day sans-makeup, now, I still like to get all done up- it's just super fun for me! Both clear skin and fun makeup make me feel my best so thank you Proactiv! The 3-step system is made up of a renewing cleanser, a revitalizing toner, and a repairing treatment. It's made for daily use, to cleanse and exfoliate, attack all the gross bacteria and soothe any inflammation! For me, I've definitely had the first two go amazingly well! Oily T-zone has been so controlled that I feel like I can brush a little Becca champagne pop highlight up there without looking like a massive puddle. Smoothness, also. Yes. Baby's bottom kind of smooth! For the last one, I've had a couple bitty breakouts, but they've mostly been teeny tiny ones mostly under the surface of my skin? around acne prone areas like my chin and my nose? Plus, I'm kind of finicky when it comes to the surface of my skin and its smoothness so I end up poking at them, which makes the little jerks worse... so that's on me, not the Proactiv! Step 1: Renewing Cleanser - oil-free formula that has these itty bitty beads to exfoliate and Proactiv-exclusive micro crystal benzoyl peroxide to clear acne! Step 2: Revitalizing Toner - packed with good stuff! Like, alcohol-free toner with glycolic acid to help balance skin's natural acids, witch hazel to refine and purify pores. Ooh, and aloe and chamomile to soothe and soften, plus allantoin to help healthy tissue grow. Step 3: Repairing Treatment - A light, oil-free leave-on treatment formulated that absorbs into the pores. It gets really deep to help heal and help prevent breakouts. It can be used all over the face and other acne-prone areas.